On a previous post I wrote about how I nourish my writing, and this topic is very close to it. When I approach the subject of writing I write about my experience and how I do things that have work for me. It is not intended as a “to do” or as teaching; it relates to my journey as a writer. A dry season may or may not qualify as writer’s block. It depends on the circumstances, and when the well is dry, it is dry, and it is a soul’s feeling. This is why I find it important to nourish and reconnect with my writing. However, these are times when I might be producing material but it seems “automated” and as if it lacked soul; as if something is missing, and I cannot find it – I cannot get the spirit back. In my experience, there are two ways in which I handle a dry season, and it depends on the circumstances prior, and during the dry season. The first is to keep writing and work through it, even if I write only for myself, keeping productive, but resting as needed. The second deals with resting. Resting does not mean taking a break from writing, although sometimes that is all I need to end a dry season – a soul-searching inspirational break. Resting also means finding other ways to reconnect or find what is missing, whether I meditate, pray, study other authors, or practice any activity that inspires me for a longer period. Usually as long as it takes for my well to feel full again and awaken my soul. Sometimes, it is the simplest of things what sparks creativity. What works for other writers may or may not work for you, and the length of time it takes will depend on your personal circumstances. I’ve found that the longer I wait to reconnect, the more challenging it becomes. When I feel that my inkwell is drying, I step aside, take a serious look, and put myself in motion to do what is necessary to capture the spark again. I don’t ignore the feeling; it is the voice of my soul calling me into action. Am I good enough? It is the question that haunts our minds at one point or another, and if you have written for some time, you know what I mean. You might have 4,5,6 … 15 books under your belt, and that moment of weakness can take your breath away, and with it, chisel a bit of confidence. If you let it, it will keep chiseling until it creates a masterpiece of doubt, and at its worst, of fear. It is at that moment of balancing the writer-self with the ego when one wonders (or wanders), and even dares to question if it all makes sense. If you have been there (or are there), it is normal. Artists, whether writers, painters, sculptors … and any human that is passionate about something, passionate enough to doubt that is, will go through this act of balancing. The image of a circus clown crossed my mind. Am I good enough? The only way to answer this is to keep going and find out. This is not the time to stop and wonder, but to keep pressing the dream, and regain your breath. At each breath of the pen, the air clears out, and with it any hints of fear that might try to creep up in the writer’s soul. After all, we are in a game of souls, and the mind chooses the setting, and the words flow. Am I good enough? You’ll never know unless you press on. *Sunrise Souls update – I am in the last revision phase, and almost ready for publication. This one has taken my breath away. Today, the dreary feeling that has haunted me for weeks grew stronger as I made my morning cup of coffee. The thought blinded my conscience as if plastered in large neon green letters all over my head – I AM BEHIND! Worry settled in another day and inspiration took cover behind my wishful thinking. One thought led to another and before I was aware a feeling of guilt creeped inside my heart. Desperation fluttered inside my gut and I gasped for air as I stared at the carton of eggs that I had just emptied. 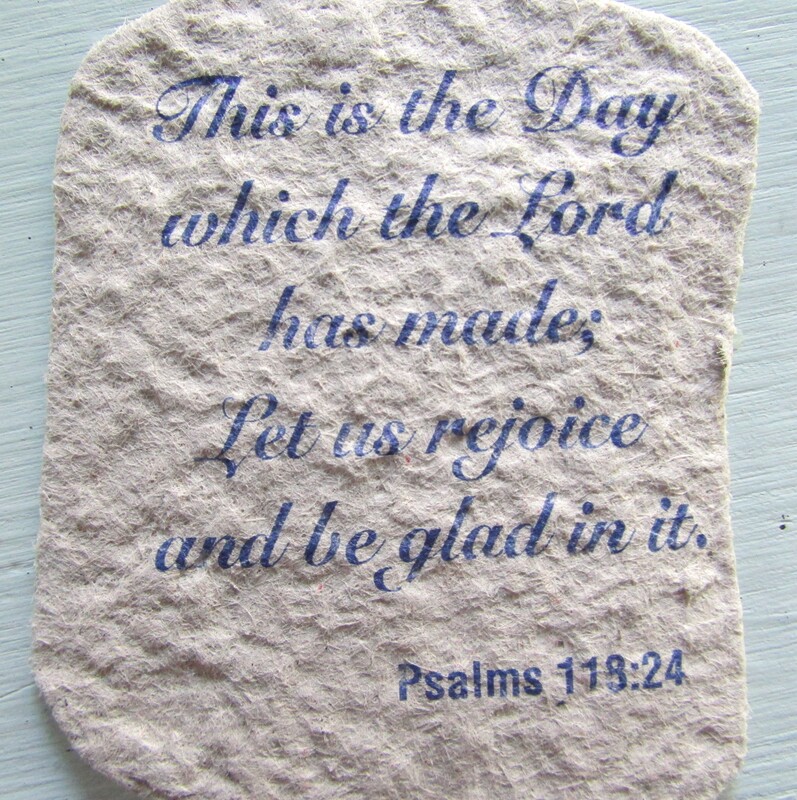 Somehow, the printed cursive blue letters called on me, and I read – “This is the Day which the Lord has made; let us rejoice and be glad in it.” Psalms 118:24 What an oddity, I thought, printed on the inside of the egg carton I found the perfect words that I needed to hear. I decided to make those words my inspiration today and every time I might feel that I AM BEHIND. Because it does not matter if I am behind or not, or my perception of it – my truth is that behind or not, “this is the day which the Lord has made; let us rejoice and be glad in it.” And that is what I decided to do. I realized that my perception of time and reality has nothing to do with God’s timing and plan; and that even when I might feel that I am behind (on work, on chores, on projects, on life … fill the blank) I might not be at all – I might be just where I am supposed to be on my journey. Although I have heard and read these words many times, it took a carton of eggs at the right time to make them meaningful when I needed them. I grabbed the scissors and cut out the words from the egg carton and placed them in front of me, at eye level near the computer screen, as a daily reminder. Somehow, breakfast tasted better. Here is a picture of the cut-out. I hope it inspires you as well. 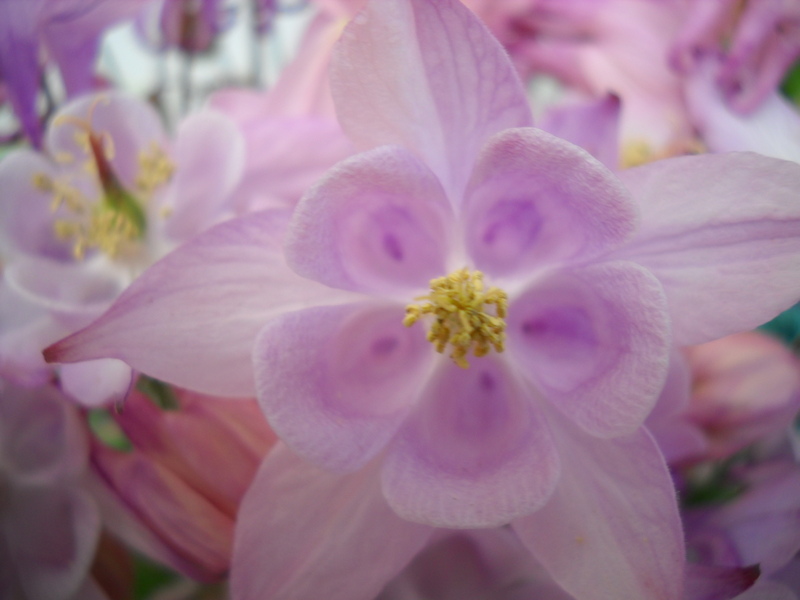 Thank you all who have visited the blog. I feel obligated to write this post due to my absence over the past few days. I hurt my right arm badly and it is very painful to write, even to click, so I will be away from this blog for a while but will try to see if I can post at least once in a while, until I heal or does not hurt that much. This of course interferes with the writing of Sunrise Souls, which I wanted to write before the end of this year. I am keeping my goal. For now, I will leave you with this inspirational picture and words. And find the Magic in the simplest of things. When I read poetry I notice one thing, the poem is sad/dark, almost as if it bleeds through the page, or on the other hand, it celebrates life, is an exaltation of nature or love, or whatever the subject seems to be, therefore transmitting a peaceful or joyful vibe through the page. It seems as if a tormented soul or a happy one wrote the lines, although that is not necessarily true. Ernest Hemingway once said,”There is nothing to writing. All you do is sit down at a typewriter and bleed.” Maybe he was right, but what comes out of your veins? What do you bleed? I have found that for me, inspiration may come from nowhere, unexpected, and sometimes, it is directly influenced by my mood. I’ve noticed that when my faith dwindles, so does my writing. It is when my faith is up that I do my best writing, whether I may be going through a difficult situation or not. By faith I don’t mean religion, but my disposition to believe and trust. That said, I can predict when my motivation will suffer, and when my writing will lack. How to prevent this? The answer is not so much to prevent, because life is full of ups and downs – it is human life’s nature. Instead, maintaining a conscious positive and high disposition (with effort and despite the circumstances) is what seems to help. I must keep up a high level of trust and frequency to support the flow of my writing, otherwise, it becomes forced, superficial, and dense. So my writing seems to be tied to my faith. While reading a 2011 Country Diary, I came across these old writing quotes, and I think they are interesting and reflect the old writing wisdom, and still applicable today. I decided to share them with you. I think there is good wisdom here. I found the last line of the last one a bit funny, but certainly speaks of how protective and zealous as writers we are with our work and ideas. However, today the internet has blessed us with a way of coming together and share those ideas, ask for advice, and give to one another. I hope you enjoy these bits of old wisdom.